Charles E. “Chuck” Almendinger age 90 of Marion, formerly of Prospect, died early Wednesday morning December 5, 2012 at his home. Chuck was a veteran of WW II in the Army, serving as a 1st Lieutenant. He worked for the Dept. of Agriculture in Cincinnati as an auditor, retiring in 1984 after nearly 30 yrs. 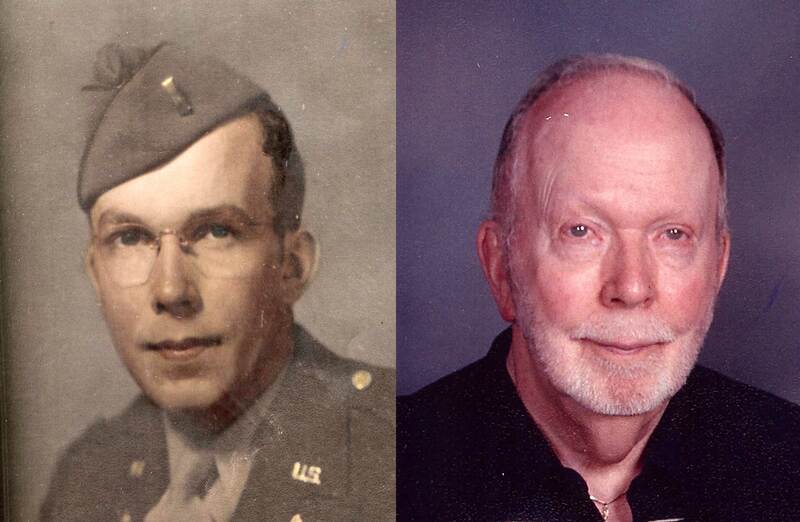 Member of the St. Paul’s Lutheran Church in Marion, Lifetime Member of the Prospect American Legion Post 368, Lifetime Member of the N.R.A., he enjoyed hunting, fishing and gardening. Chuck will be remembered for his ornery spirit and quick wit. On June 26, 1943 at the Aberdeen Proving Grounds in Maryland, he married the former Naomi I. (Gast) and she survives. Also surviving are their three daughters, Cecilia E. (Lee) Fohl, Marion; Cynthia (Mike) Silvis, Jackson, Tenn.; and Sylvia Almendinger of Marion, 3 grandchildren and 4 great grandchildren. Graveside services will be held Saturday December 8, 2012 at 11:00 am at the Prospect Cemetery, Pastor Craig Lewis will officiate, there will be veteran graveside services conducted by the Marion County United Veterans Council. In keeping with Chuck’s wishes, there will be no public visitation. The Stofcheck-Ballinger Funeral Home in Prospect is assisting the family. Thinking of entire family. Love and prayers for all of you at this special and difficult time. Almendinger family, I have had Chuck on my mind alot lately, Naomi, I am so sorry for your loss, you are in my thoughts and prayers. #3 from: Mary L Gast 3849 Coral Creek Ct.